The crawl tunnel is a fun, unique obstacle that is used in K9 training to challenge the dogs to crawl through low places to get to a target location and retrieve something. 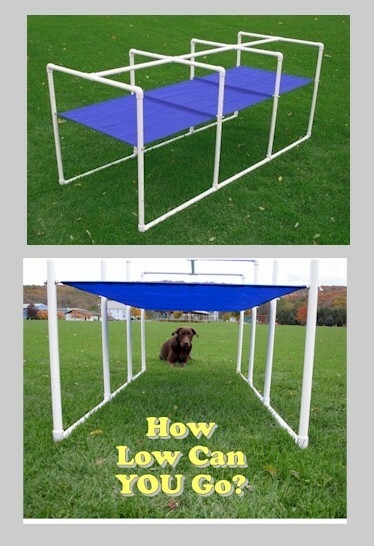 This obstacle adds a new dimension of training to any home agility course that's sure to please! The height of the fabric roof is adjustable. Start it off high, then as your dog is crawling through to the other side you can lower the roof even more. Before long your dog will become so confident in crawling that he might voluntarily offer to crawl under your bed to retrieve your slippers! Please note: Shade of blue may vary from what is pictured above.